Frequently I get a call to look at a sick tree, sometimes there are no typical disease or insect symptoms obvious. The whole tree is in poor condition with yellowing, smaller and less dense foliage when compared to a healthy specimen of this same tree. Often these issues can be explained by root or soil problems. Although hard to diagnose since roots are mostly hidden from view. One clue to a root issue could simply be the lack of any visible insect or disease symptoms. Roots that girdle the trunk at ground level is a frequent problem is observe. The roots of these trees start to circle the planting pot at a very early stage in the life of these trees. As the trunk and root grow in diameter they eventually come into contact and the root starts to choke the tree trunk and prevent movement of water and nutrients within the tree. I see girdling root problems frequently on Maple, Linden and chokecherry trees, but all trees can be affected. Roots that girdle the trunk at ground level is a common problem we observe. Root issue may also be related to a tree that was left in a planting pot too long at the nursery before it was transplanted or re-potted. Good nursery practice is to move plants to a larger and larger planting pot as it grows in size and root volume; before the root system becomes too crowded in the pot. 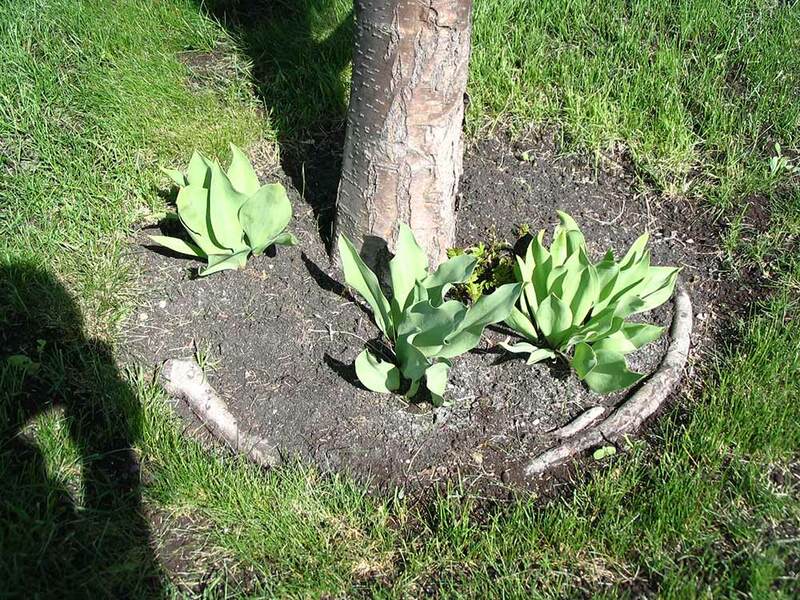 Another root issue arises from "wild field grown" transplanted trees that may lose 80-95% of their root system when transplanted. These trees are grown in the absence of intensive nursery care which ensures the best chance for long term survival once planted in the landscape. I once investigate a property owner who lost $20,000 in 12-15 foot Colorado Blue Spruce trees that had been tree spaded out of a "wild" field. Most of their spruce trees died within 2 years of planting because of the loss of root system. All of the above problems occur with frequency. 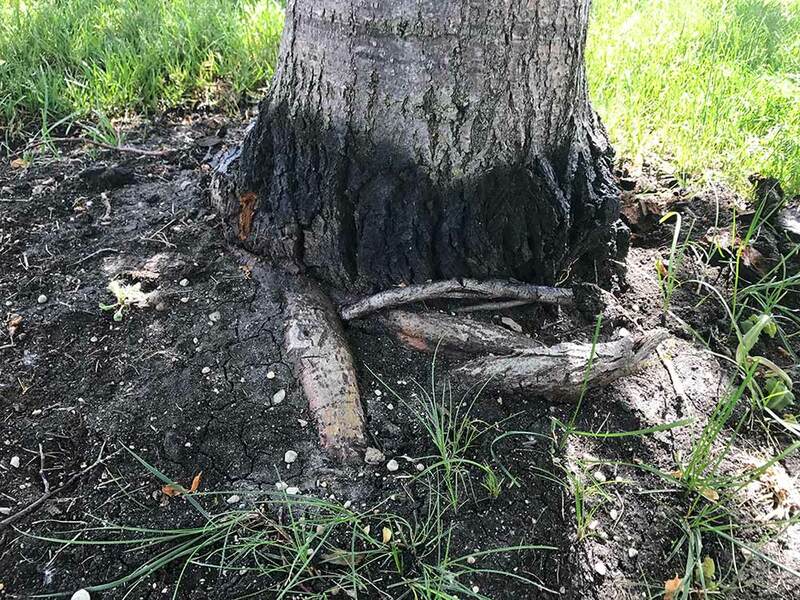 Some of these issues could have been prevented if an Arborist had been consulted at an early stage in the process of landscaping and construction. Girdling root on a Linden tree. Circling roots caused by pot bound root system. This tree spent to long in one pot at the nursery prior to planting.